KNORR Boosters have been awarded Australia's Best Booster brand by a ChefPanel survey of 600 Independent Chefs (2016). 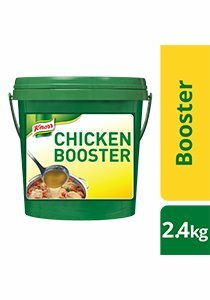 Use KNORR Boosters to create full flavoured bases and the tastiest sauces. Delivering perfect results every time for your: bouillons, soups, sauces, casseroles, gravies, pies. Made by chefs, exclusively for chefs.